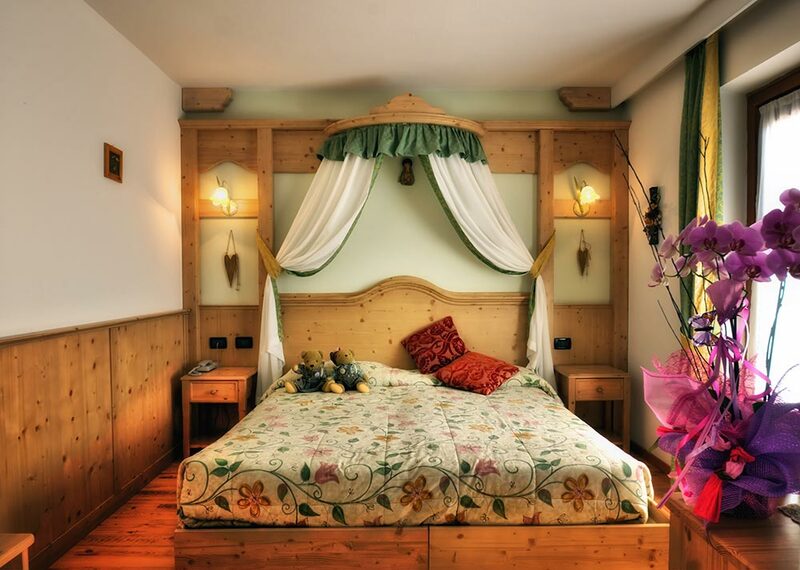 Relax yourself in our Alpine-style rooms. Comfortable, roomy and fournished in wood; our rooms are designed to guarantee all the comforts and the necessary services. 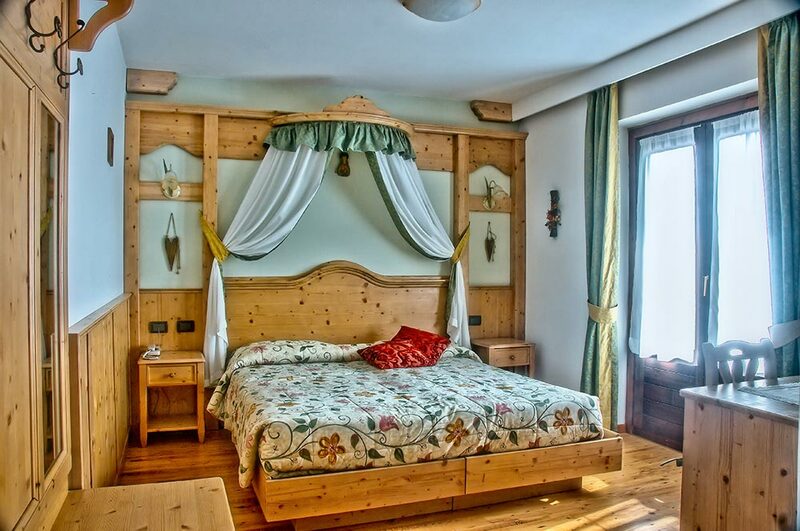 The small details in our rooms are made to offer you a regenerating rest during your holidays in the mountains. 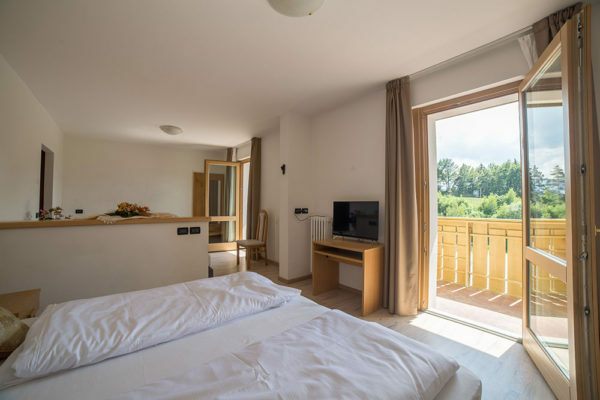 The rooms of the Mountain Resort Caminetto are comfortable and equipped with private bathroom, tv, phone and safe. 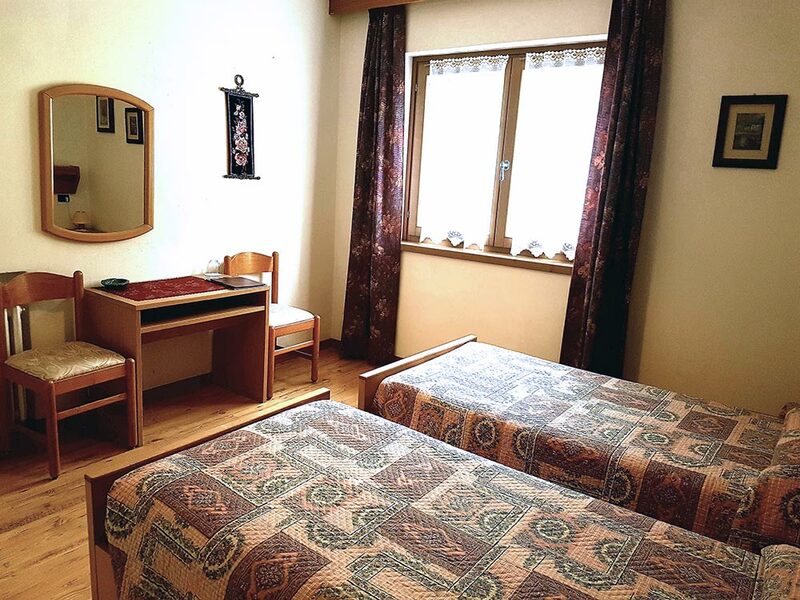 The check in day your room will be available at 14:00 and have to left before 10:00 the check out day. They are the most essential rooms in our hotel, but they can however offer all the necessary services. The footage of our comfort rooms is about 14 m² and it can host 2 or 3 persons. 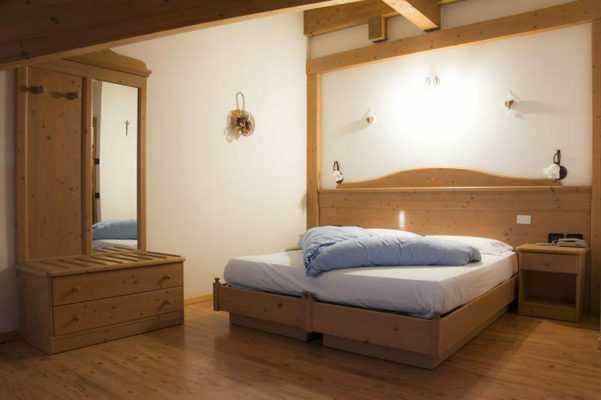 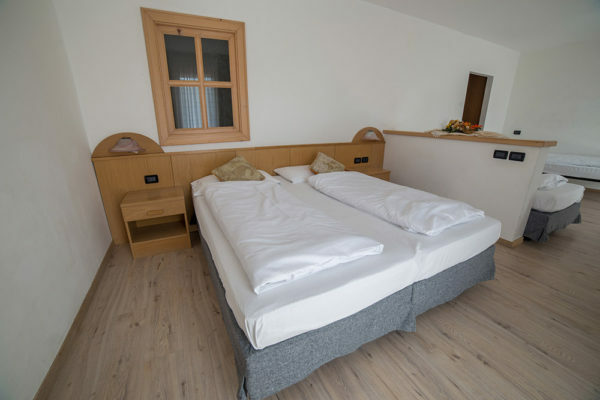 These rooms are about 20 m² and can host 2 or 3 persons, they guarantee a comfortable stay in a regional Alpine-Style. 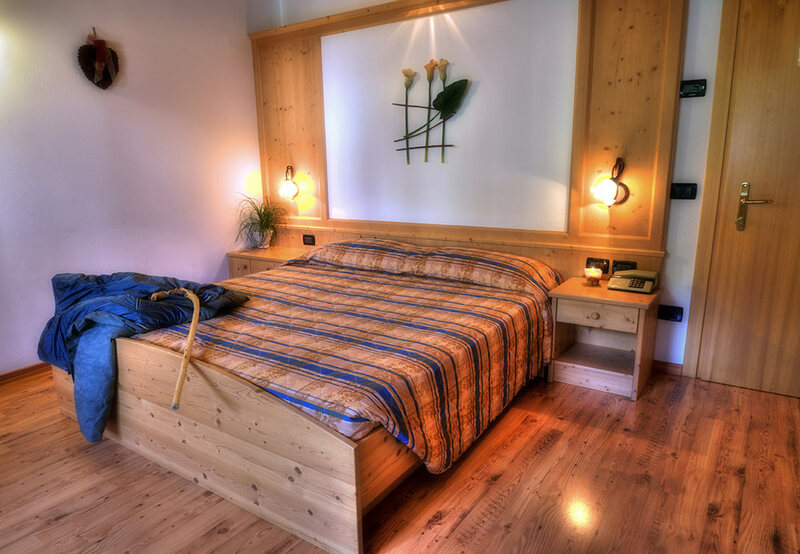 Our Jr. Suites Caminetto are the most characteristic rooms in hour hotel. 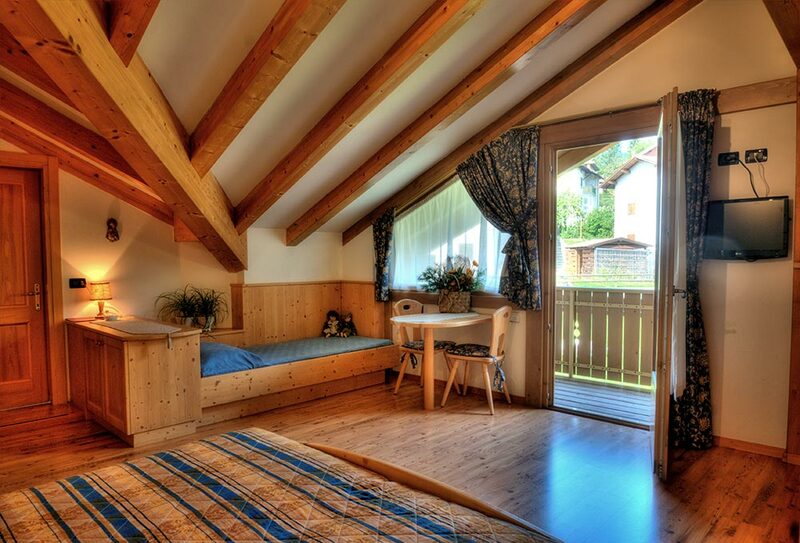 Situated in the attic at the second floor they instil an intimacy that will make you fall in love with. 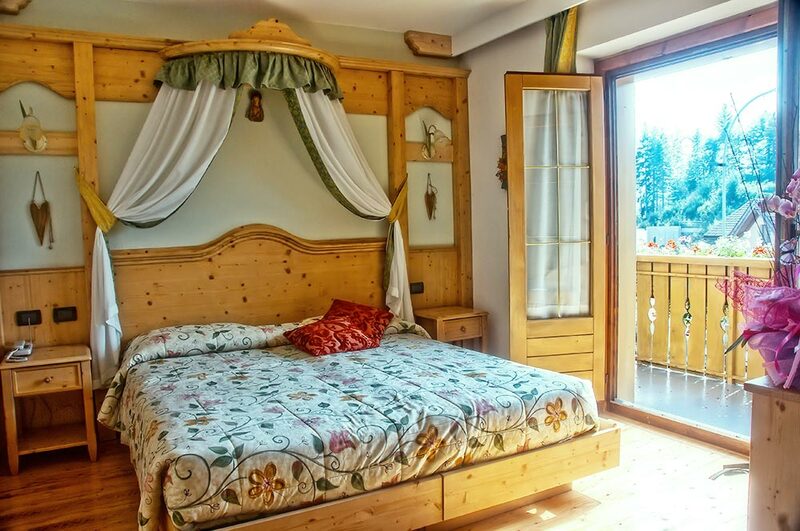 The panoramic view on the garden and on the pools as well as on the ski slopes will give you all that a holiday on the mountain can give. Our Jr. Suite Caminetto, thanks to the large spaces ( about 30 m² ) can host up to 4 people. The Jr Suite Cimone, with their large spaces, guarantees comfort and practicality. 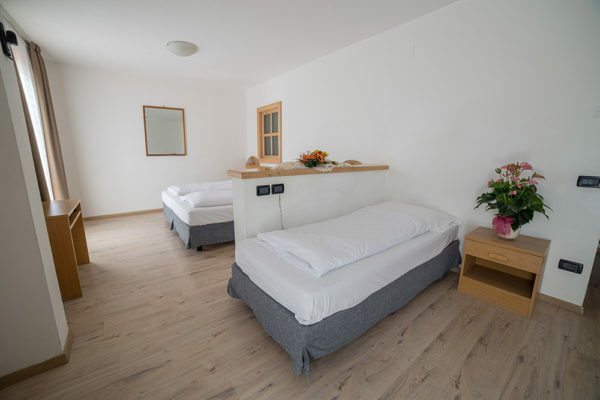 It can host up to 4 people. Composed of two communicating rooms that had been recently restored they instil a warmth that just wood can instil. 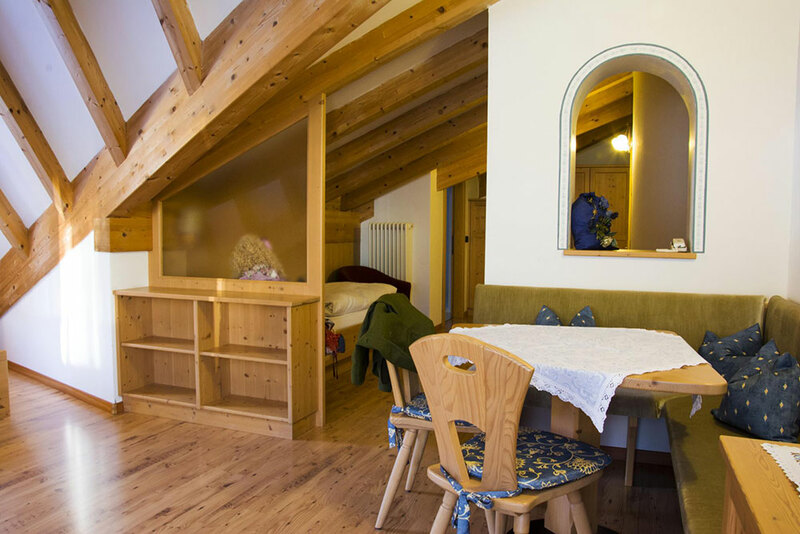 Thanks to the large spaces (about 40 m²) they can offer the comfort a family needs during its stay.